Over 1150m2 of premium and high performance insulation products from Kingspan Insulation have helped Coleg Cymunedol Y Dderwen Comprehensive School in Bridgend to become the first BREEAM ‘Outstanding’ rated high school of its kind in the UK. Co-funded by the Welsh Assembly and Bridgend County Borough Council, the £34 million school combines state-of-the-art teaching and community facilities. Thanks to a forward thinking approach, architects Scott Brownrigg were given greater freedom to prioritise whole life cost savings over construction expenditure. As a result, the building achieved a design stage BREEAM score of 89.82% and was awarded the 2013 UK BREEAM Education Award. 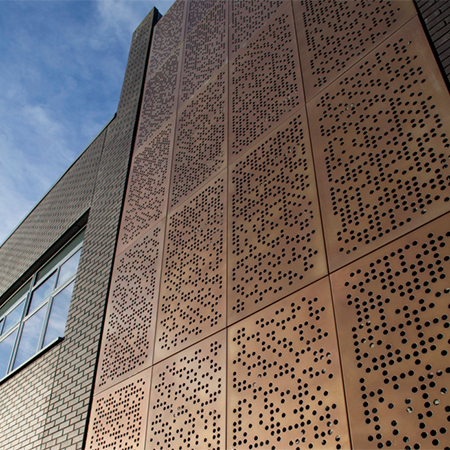 Limiting heat loss was a key requirement in the design and to insulate the rainscreen sections of the building façade, 817m2 of Kingspan Kooltherm K15 Rainscreen Board was specified. 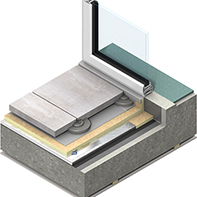 The product provides outstanding levels of thermal performance with thermal conductivities as low as 0.020 W/m.K. 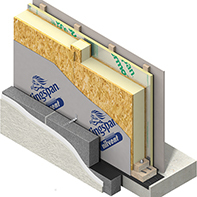 Kingspan Kooltherm K15 is also the first insulation board for use in rainscreen cladding applications to have achieved LABC System Approval, saving both time and money on the project by streamlining the Building Control checking and approval process. 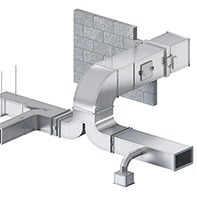 To insulate the roof space of the school, a further 368m2 Kingspan Thermaroof TR26 LPC/FM was installed. 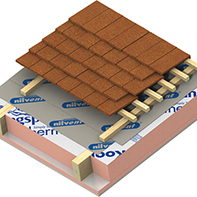 The high performance product is fully compatible with most mechanically fixed waterproofing systems and helped achieved a final roof U-value of 0.19W/m²K. 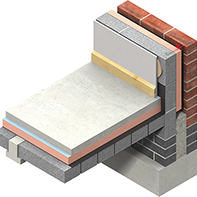 Jon James, Director at Scott Brownrigg commented: “The Kingspan Insulation products allowed us to achieve the required level of thermal performance, and their Green Guide A+ ratings also contributed towards the award of the Embodied Impact BREEAM credit”. 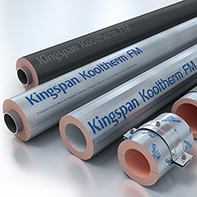 Featuring fibre-free insulation cores, Kingspan Kooltherm K15 Rainscreen Board and Thermaroof TR26 LPC/FM produced at Kingspan Insulation's Pembridge manufacturing facility, are manufactured under energy management standard ISO 50001. 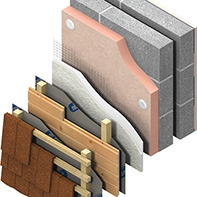 The products are also certified ‘Very Good’ under the demanding BES 6001: Responsible Sourcing of Construction Products standard. Construction on the 30-acre campus was overseen by Leadbitter, a Bouygues UK company, and in addition to the 1,570-capacity school the site also provides a café, multi-agency hub and childcare units for the local community. Coleg Cymunedol y Dderwen in Bridgend also picked up the coveted Project of the Year accolade at last year’s Constructing Excellence in Wales (CEW) Awards. Highly energy efficient, the scheme can serve the school, nearby existing swimming pool and residences, with surplus electricity fed into the National Grid.